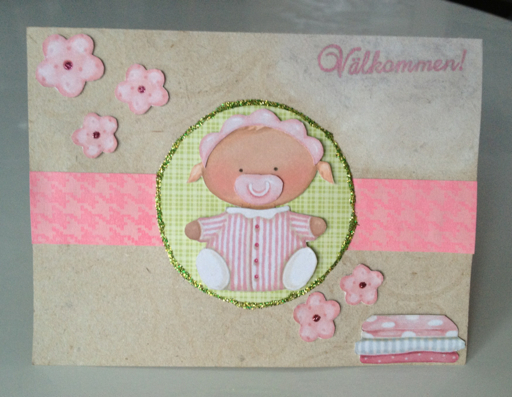 My Creative Blog: Welcome Sophia! 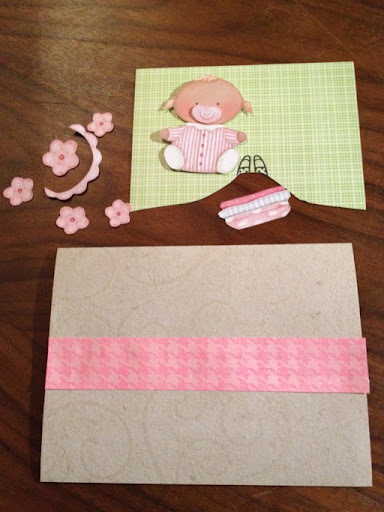 This time I wanted to use a baby and some flowers from the 3D cutouts from Panduro for my friend's new baby. I also wanted to enter the card in the new design challenge at Skipping Stones Design. 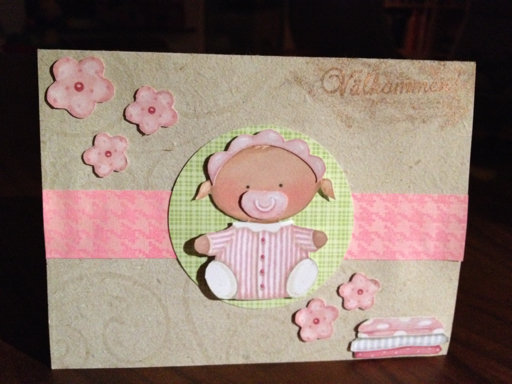 For the strip I used my new Hero Arts Houndstooth bg, pink on pink. And for the card I used the other, Florentine Pattern, white on recycled paper. Also found a green scrap to have as baby bg. 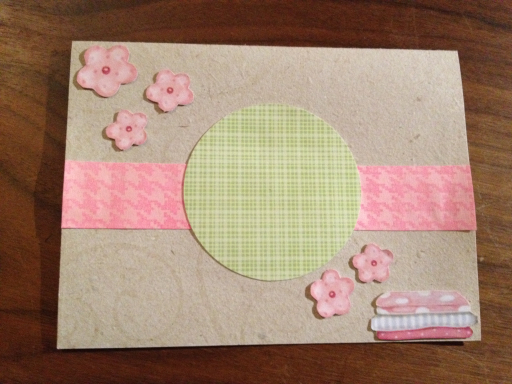 Card with the scraps and flowers added. I love your step by step photos! Such a sweet card and those little flowers are just a perfect touch! Thanks for joining us at Skipping Stones Design! What a perfect card for a new baby! This is just adorable! The green glitter finishes it off perfectly! Thanks for playing along with us over at Skipping Stones Design!